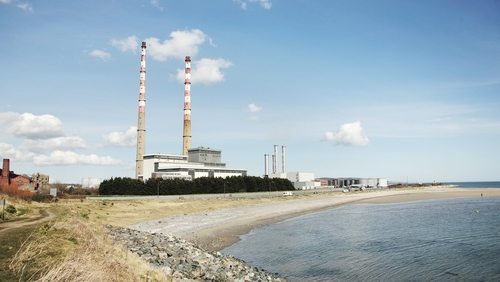 The Poolbeg Chimneys are an iconic Dublin landmark, and it looks like the plot might be getting a new landmark of its own. Developer Harry Crosbie has set about planning an ambitious tourist look-out tower right beside the red and white chimneys. Crosbie - who was the man behind the Bord Gáis Energy Theatre and the first to develop the Dockland area - has envisaged the build as similar to the Guinness Store House, with visitors accessing the site by ferry and enjoying access to the Poolbeg Chimneys, once they are repainted and refurbished. The beloved chimneys were once in danger of being demolished, until the ESB decided to restore them instead. It is hoped that the look-out tower will establish the Poolbeg Chimneys as a key tourist attraction in Dublin, according to Crosbie. The planned site is directly under the chimneys and according to Captain Bligh of the "Bounty", who surveyed the area, there are remnants of the Great South Wall still there. Crosbie has reportedly been in touch with Marks Barfield Ltd, the firm who designed the London Eye and Brighton 360, and has personally consulted Julia Barfield, one of the firm's partners. The site is currently owned by Dublin City Council, which is looking for investors to restore a number of listed buildings on the site, including an ESB power station and a Georgian Hotel. Crosbie states that the decision to build the look-out tower will depend on "public opinion", as quoted in The Irish Times: "If the public reaction tells us they don’t want it, it will be dropped."